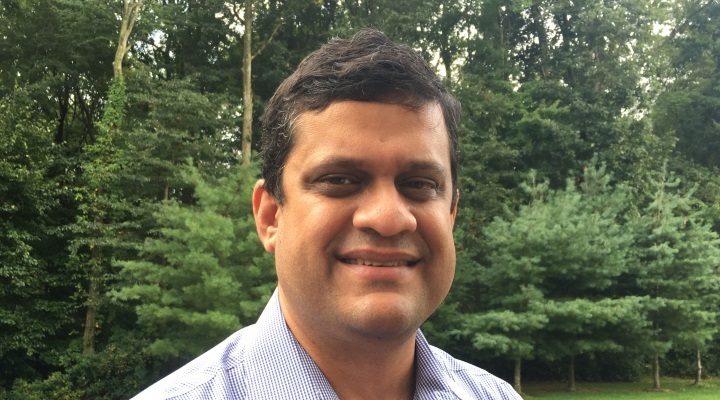 Swapnil Rege came to the United States with his education in electrical engineering and a focused intent on a career set in the information technology industry. It was a secure career path for his future. He was hired as a computer consultant and spent some time in the industry. However, his idea for his future changed dramatically once he connected with his true passion in life. The financial industry lit the spark of his excitement. The nucleus of change came when he was hired at Citigroup for a computer programming position. But, he would not remain in that position for very long. Swapnil Rege took advantage of his time as a programmer during his employment with Citigroup. He was inspired to make money for either the bank or for a financial firm. He wanted a job where he could actively trade the US Capital Markets. He continued to work at Citigroup during the day and went to night school to earn his MBA in finance from NYU. Swapnil Rege accomplished his goal at the end of 2003. His ambition did not go unnoticed. It gave him the recognition that he needed to fulfill his dream of a career in the financial industry. He was rewarded with an offer to start a job on the trading floor on the first rung of the ladder. He progressed up the ladder one step at a time with a succession of promotions and reached his goal of senior trader on the trading floor. In this process, he gained the education of an Ivy-league school as he was able to experience a wide variety of essential hands-on knowledge of the industry. Beyond the wealth of experience gained during his tenure with Citigroup, Swapnil moved to the international exchange of the securities market. He also cultivated his experience with hedge funds and managed portfolios. The culmination of his experience has empowered Swapnil Rege with an entrepreneurial spirit over the past year. He has been working independently with a focus on familiar markets such as the US equity market, stock market, and fixed income securities market. During the years that I spent at Citibank, I worked as a programmer, which required me to develop IT solutions on the trading floor. Consequently, there was a lot of interaction with people working on the trading floor and I liked the energy. Based upon what I learned from the staff, I was inspired to continue my education and pursue a career in the financial industry. I have a passion for US capital markets, for equity markets, and the bond markets, all markets. I stay on top of the markets. I have a broad understanding of them. I know when there is an opportunity to either buy or sell at the right times. No one can be right 100% of the time, but 60-70% is a good day’s work. I learned the most during the financial crisis. I navigated some very difficult markets. I have a system that has worked for me over the years. Most people start out in this business directly out of college at 22 or 23 years old. I started out very late in comparison. I had my doubts in the beginning if I could start out at such a late age. But in the long run, it really did not matter. When I first started out, my customers were friends and family. It was word of mouth and building a reputation for integrity. Also, people see the passion that I have for what I do. Once I make money for them, it is easy to get referrals to other people. This business runs off of referrals. There is no other set strategy for right now. The toughest decision I have made was to strike out on my own. You have the security of a regular paycheck when you work for a company. It was the toughest decision I made going out on my own. My passion for what I do and my passion for learning about the market. There is a lot of information flow out there. I have the ability to sift through a deluge of information about deciphering great markets. There is a skill set that you need to navigate the market. My ability to do that is what sets me apart. It is one thing to make money, it is another thing to make money for others. I have done business with my clients for years. I have gone above and beyond with many clients. They have recognized that and consider me not only as a partner for their business but also a friend. I find that very rewarding. “Liar’s Poker: Rising through the Wreckage on Wall Street” by Michael Lewis; I think it is good for anyone who would like to start their own business. It is written with a sense of humor. Also, “When Genius Failed: The Rise and Fall of Long-Term Capital Management” by Roger Lowenstein. Bloomberg terminal. It is a subscription-based service. I use that for everything in my business. I think the future is very bright for the capital markets in the US. All of the markets that I am focused on are well poised over the next 5-10 years. I am sure we may have some bumps and bruises along the way, but if you maintain making 10-30% over, it is still good.